Grab a cuppa and enjoy my interview with the effervescent Ananda Joy Duszynski, founder of ethical label Bliss Joy Bull. Q. Okay, I have to ask…where did the name Bliss Joy Bull come from? Q. How did you start down this path of ethical design? It really had to do with my upbringing. I think it began by learning about organic food and sustainability at an early age. Living in a rural community and being affected by CAFOs (confined animal factory operations) made me think about where my food came from, which in turn made me want to know where my clothes and accessories were coming from as well. It is a continuous process. I learn about designing more ethically the more I design. Q. If you had to choose another career for yourself, what would that be? Either a chef or a pastry chef. I had considered going to school for this, but changed my mind after attending a week long course at the Illinois Institute of Art – Chicago during high school. It was just too fast pace for me. I recently moved back to my home town and have actually done some cooking and baking for families as a side job. Q. Can you tell us a little bit about what makes Bliss Joy Bull an eco-conscious label? My impact is very small. I make everything myself in my studio. I try to use materials in a more wholesome way; to extend them. I get most of my supplies secondhand; either thrifted or given to me by friends and family. 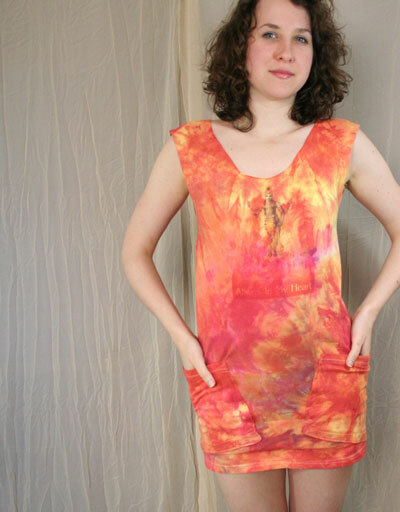 If and when I use dye, I use low impact non-toxic dyes. I try to create as little waste as possible. I keep all of my fabric scraps and threads that are too small for anything else and use them as filling for handmade pillows. My purpose is to extend the life cycle of items and I hope to keep these items out of the landfill for many generations to come. Q. What advice would you give to designers who are interested in becoming more sustainable? I think the main thing is to do your research. Some important questions to ask: What is the impact socioeconomically/environmentally of the fabric, dyes, manufacturing processes and the like? Are workers being paid a fair wage for where they are living? Are workers being overworked? What happens to the leftover fabric and thread? I think these are just some of the many questions to answer before starting a sustainable company. Q. Which ethical designers inspire you? 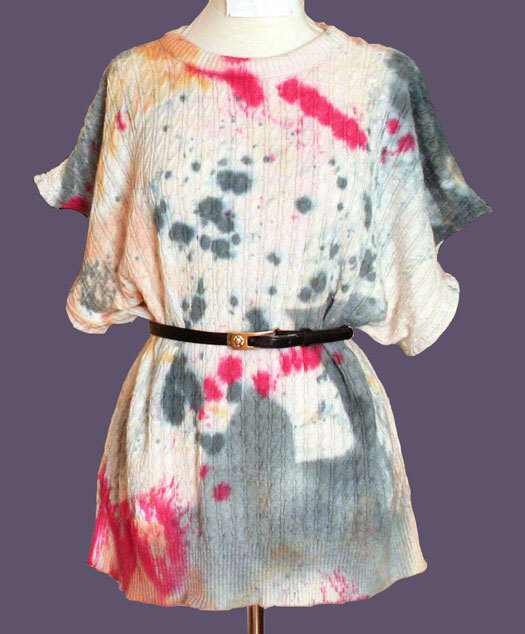 I used to work for a small independent fashion company, Feral Chidle, when I lived in NYC. Feral Childe is a design duo; Alice Wu lives in Oakland, CA and Moriah Carlson lives in Brooklyn, NY where I went to work. They both have fine arts backgrounds and create most of their prints which creates the foundation for their collections. They use sustainable fabrics such as organic cotton and hemp. 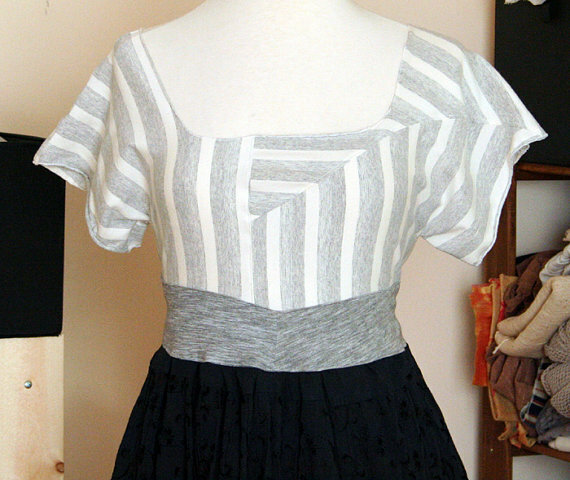 I have also dabbled in zero waste design pattern making, where no fabric scraps are left on the cutting floor. Timo Rissanen, Tara St. James, and Holly McQuillan inspire me to push my pattern making skills in zero waste design. Q. What is one of the most personally rewarding pieces you’ve ever produced? Hmm, that is a tough one. I recently made a bridesmaid dress for a friend, as well as a dress for myself that I wore to a friends wedding. I’m still growing so much as a designer, I feel that each new piece I make has a little reward of some kind. It’s also rewarding to see how far I’ve progressed, even compared to last year. Q. What does the future hold for Bliss Joy Bull? I’m working on starting an artist co-op in my hometown. I hope to grow my business that way and also create a larger artist community. I’d love to expand Bliss Joy Bull enough to have someone helping with cutting and sewing in my studio! 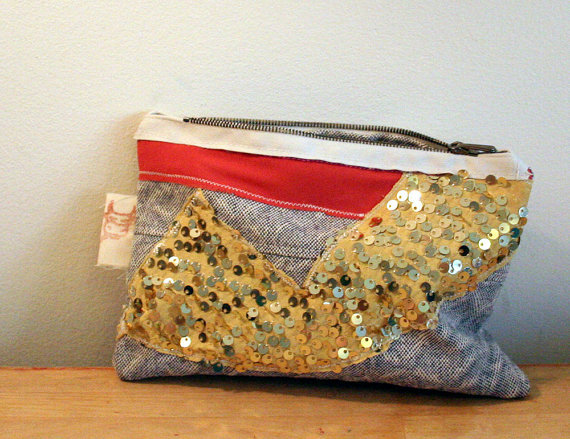 Check out the Bliss Joy Bull website, Etsy shop and follow @nandid on twitter!